Chicago: There is some real question as to whether Chicago should even be included in the group of interested teams. There is every reason to believe that general manager Stan Bowman has no interest whatsoever in disrupting the chemistry of his high-flying Cup contending Blackhawks for Kovalchuk and they’re totally out of these sweepstakes. That’s the word on the street. But there are two reasons to at least still mention Chicago as an outside possibility. One, team president John McDonough is the type of hands-on executive who lives to make a splash and has the “wants” every time a big-name player comes available. There are few bigger than Kovalchuk. McDonough is involved enough that he may try to influence proceedings, even though from a hockey perspective, the interest in Kovalchuk is limited at best. Two, the Blackhawks know they are going to have to divest some players in the off-season for cap reasons next season. The names most often mentioned are defenceman Cam Barker and forwards Kris Versteeg and Patrick Sharp. An offer of Barker and Versteeg would be entirely in the strata of what Waddell would love to get for Kovalchuk, but given the cap situation in Chicago, Kovalchuk would be virtually impossible to sign long term. The Hawks could stock their cupboard in the off season trading those players for prospects or picks, so when you add it all up, it doesn’t compute that Chicago is in hard on Kovalchuk. As we talked about yesterdayand did in early January, the Blackhawks have been penciled in as the darkhorse, “logical” trade partner for Atlanta in the chase to acquire Ilya Kovalchuk. What has kept the Blackhawks on the outside of the discussion for most of the past month is what McKenzie talks about early in his notes on the Blackhawks. Stan Bowman isn’t ready to compromise the depth of the roster as it presently stands for the sake of the “big splash” move. The team is near the top of the NHL in scoring, and has been effective enough scoring the puck so far this year to be in the hunt for the President’s Trophy. McKenzie posted on Twitter during the game tonight that there was a perceived disagreement brewing between “upper management” and the “hockey heads” for the Blackhawks. If John McDonough steps into the mix, with his admittedly-limited hockey knowledge, and influences Stan Bowman to make a deal here, the future of the Blackhawks could have a dark shadow cast over it quickly. The unfortunate reality of McDonough’s resume is that, while he is arguably the best at selling a professional sports product in the United States, his tenure at Wrigley Field raised jersey and ticket sales, not championship banners. A lot of that has to do with the marketing department being located too close to the talent evaluation department. 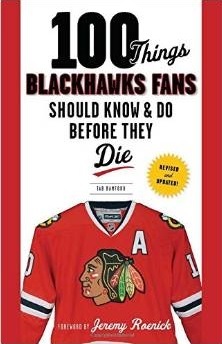 We are sitting at the heart of one of the great times in the history of the Blackhawks. I know that’s an incredibly bold statement, but I’m confident that the numbers bear witness to the great team we’re watching this year. This team is not perfect; Wednesday night certainly pointed out a few flaws. But two areas where this Hawks team does not have problems are depth and scoring. Would Kovalchuk be a great player for the Blackhawks? Possibly. Could he be the guy to get the franchise over the hump and bring the Cup to Chicago? Not alone he can’t. He might bring an added dimension to the roster and solve a few financial headaches in the process, but one man doesn’t win the Stanley Cup for a city. A team does. The fact that McKenzie, a much more respected source than Ecklund or Spector, would bring this issue up is cause for concern because of McDonough’s history on Chicago’s North Side. There hasn’t been an empty seat at the United Center in two years, so the marketing department isn’t hurting for commission these days. If the Blackhawks make any trades during the season, it needs to happen because it makes good hockey sense first, sound salary cap sense second, and good business sense third. Ilya Kovalchuk will not be coming to Chicago. I’ll put money on it. I have full faith that if Chicago’s front office put this team together, they’ll be smart enough to leave it alone (regardless of what influence the marketing department has). 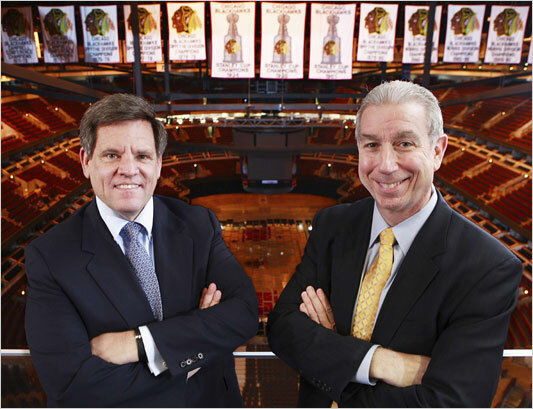 From what I’ve heard from Stan Bowman (between periods last night) and Rocky Wirtz (on ESPN 1000’s Lunch w/ a Legend Thursday), it sounds more like the Hawks will be tinkering than making a blockbuster.